DEEJAY NEWS MAGAZINE VIDEO INTERVIEW: Luminosity. SIRIUS RADIO: On Air Interview WMC. “A grand entrance is no more than fitting for this vocal diva. 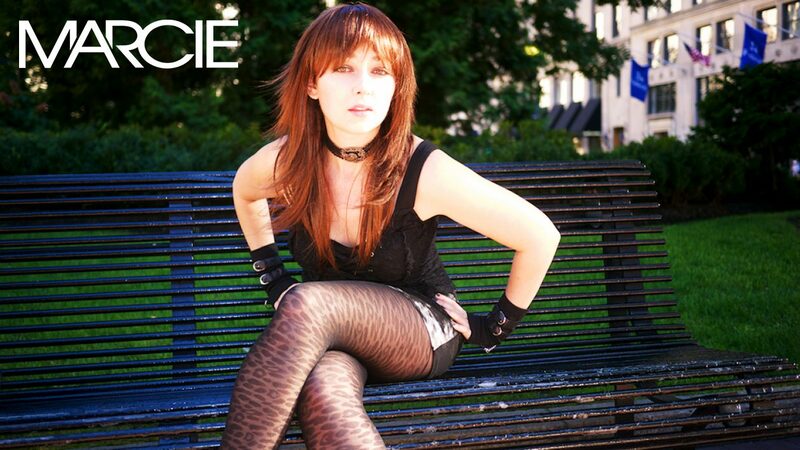 Marcie’s sweetening, seductive voice first hit the airwaves in 2006, leading the way to a solid career in music. Within a few years she’s grown out to a renowned singer/songwriter, working with some of the best producers the dance scene has to offer. Her latest soul sketches and vocal cord reflections were ‘I Come Running’ and ‘Broken Wings’, two beauties out on the Coldharbour Red and S107 label. “You guys created a really beautiful track, and definitely something that is going to get the dancefloor moving. I can’t wait to see the video”. This uplifting vocal trancer features the dulcet tones of Marcie, who has done an excellent job, as has Yamin whose level of production on this track is faultless. “I love her voice, her dance moves, and it’s obvious she belongs in this scene”. TRANCEHUB.COM– Artist of the month January, 2008. Feature Interview. influences, dreams, and current and future projects. This new bit from New York’s Sea To Sun… is a bouncy houser with a mix of tribalish rhythm and tougher electro sounds permeating the mix, with a sassy, rhythmic vocal running over the top – but not overused. The production has a bit of a Prok & Fitch feel to it – crisp and classy. The vocal is effected and edited wonderfully, and the result is something that could fit into a trance, prog or tech set with ease. B-side Somebody is a deeper trancer, with a vocal with a tinge of Madonna to it, some moody tech stabs and monotone bass giving it all a classy sound – by contrast, the slowed-down hard dance sounds of Skywings’ remix are anything but.